Neuropathy can make life far more difficult than it has to be. Of course, there will always be some struggle when it comes managing the pain and the uncomfortable feelings that come with the condition. For the most part, treatment is straightforward: manage the symptoms that are able to be managed and find ways to cope with the ones that aren’t. Sadly, there are times when neuropathy can flare up, making management significantly more troublesome. Being able to understand why neuropathy is flaring up is one of the first steps to preparing, coping, and managing with the condition. Sometimes, they are even caused by things that are relatively easy to change and fix, meaning that there are some ways that a person can make it easier to deal with neuropathy. Because neuropathy is a disease that focuses on the nerves of the body, nearly anything can make it flare up. Flare ups are generally classified as an intensifying of the chronic pain that a person is used to, although it often goes back down to its typical level given time. As neuropathy is a disease concerned with the nerves, anything that affects the nerves can cause a flare up. This can range from the food that a person eats in a day, to the temperature outside, to the way that person lives his or her life. There are many things that can cause a flare up but many of these things are somewhat preventable. The things that a person physically cannot change, such as the temperature outside, are things that the person can remedy in other ways. This means that once a person knows what common triggers are, it will be easier to avoid them in the future, leading to an easier and more comfortable life. 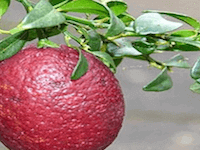 The food that a person intakes plays a significant role in neuropathy symptoms. As many people have come to learn, the kinds of foods that can affect it are generally grains, sugars, gluten, and fat. In particular, refined grains have a high glycemic content in them. This will greatly affect a person’s blood sugar. Diabetic neuropathy is one of the most common forms of neuropathy, meaning that it is crucial that a person keeps his or her blood sugar at an appropriate level whether or not he or she is diabetic. If a person eats a lot of refined grains, it is best to replace them with whole grains to prevent this issue with blood sugar. Likewise, sugar directly correlates to a person’s blood sugar levels. Added sugars are even worse as they are only there for flavor and nothing more. Especially if a person is diabetic, it is best to avoid foods with added sugar. Too much sugar can cause a flare up as it will cause the blood sugar to fluctuate. 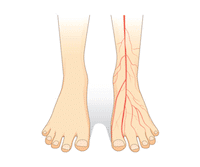 This is one of the most common triggers, especially in people who have diabetic neuropathy. Nutritional deficiencies caused by relying too much on the flavor that added sugars provide can not only worsen neuropathy but they can also cause symptoms in someone who does not have it. If a person has a gluten allergy, it is common sense that he or she stays away from food with gluten. Managing neuropathy symptoms is all the more reason to stay away from gluten. If a person’s body cannot process gluten, then it can severely worsen the symptoms of neuropathy, causing a flare up. This means that these people should search for gluten-free products to avoid these symptoms. Lastly, saturated fats can cause inflammation, which is definitely a trigger for a neuropathy flare up. 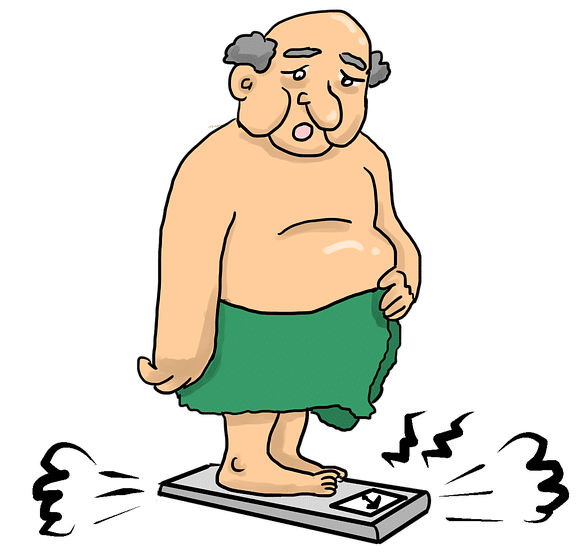 If a person does not already have type 2 diabetes, too much saturated fat can put this person on the road to developing diabetes. 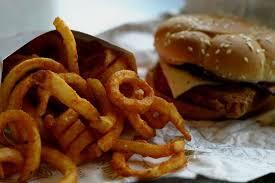 To prevent this, the best thing that a person can do is find foods that don’t have a lot of saturated fats in them. Ultimately, the best thing that a person can do to alter any food-related triggers for neuropathy is to avoid sugars, refined grains, gluten, and saturated fat. This will take care of some of the triggers for flare ups. 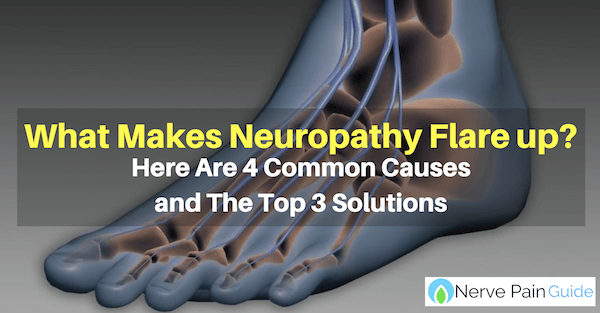 Since neuropathy is focused on the nerves in the body, the physical health of a person’s body will of course play a big role in how often neuropathy flare ups happen. Some major triggers for a flare up could be smoking, inju​​ries, and illnesses. For instance, it is a well-known fact that smoking is very bad for the human body. Smoking is one of the many triggers, because smoking constricts the blood vessels in the body, which constricts the blood that goes to the extremities. 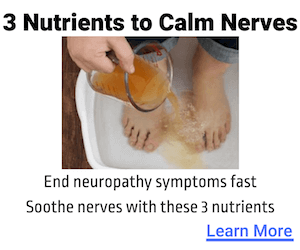 This can quickly and easily worsen the symptoms of neuropathy, ultimately resulting in a flare up that nobody wants to deal with. In addition to this, it should be relatively obvious that injuries to the body can cause a flare up as they can open many nerve endings to more pain that a person typically experiences. On the chance that a person’s extremities have become so numb that the person is not aware of an injury, it is imperative that this person regularly checks to ensure that there are no injuries on the feet or hands. An injury can put a lot of physical stress on the body, which can lead to a neuropathic nightmare. As the health of a person’s body plays a large role in whether or not the person is nearing a flare up, another thing that is important to pay attention to is health. Being sick puts quite a bit of stress on the body and thus the nerves. The stress on the nerves can translate into a neuropathic flare up, which can only make dealing with the sickness even worse. In some cases, underlying issues can even be the cause of the neuropathy in the first place. If a person has any reason to suspect being sick, it would be a good idea to visit the doctor. Besides visiting the doctor, a person should take the appropriate measures to stay as healthy as possible both physically and mentally, to avoid worsening conditions. Just as physical stress plays an enormous role in whether or not a person’s body is at risk for a flare up, mental stress and temperature also play a role. Emotional stress, while people might not think about it much, can be extremely hard on the nerves. This can make emotional stress a trigger for a neuropathic flare up. One of the ways that a person could alleviate and remove this trigger is to make sure that there isn’t really anything stressful going on. 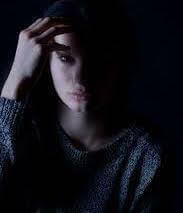 If there is something stressful, measures should be taken to remove that stressor, whether that means taking care of a particular task or ignoring some people for a period of time. The temperature of a room or location also plays into the idea of triggers both emotional and physical. After all, temperature is signaled to the brain through the nerves. Depending on the type of neuropathy a person has, temperature can quickly become a trigger for a flare up. Typically, cooler temperatures are better, although the change should be gradual so as not to jolt the nerves too much. Cooler temperatures are best as they cause a slower heart rate and slow blood flow a little bit, slightly numbing any pain that a person might be feeling. Anything that is ingested into the body is going to affect the health of nerves and this especially goes for medication. Medication can bring about worse side effects that can trigger a neuropathic flare up that nobody wants to deal with. 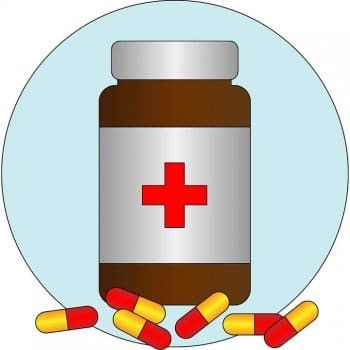 This can be difficult to deal with as finding the medication that is causing the flare up can be tough. Sometimes, that medication is something that a person needs. When this happens, it might be worth talking to a doctor about alternatives to reduce the chances that a person’s own medication is causing symptoms to get worse. Out of the many things that cause flare ups, there are several that can easily be changed. With time, diet and nutrition can change to a more suitable situation for a person’s needs. Stress will come and go with time and managing that stress will be important in regulating flare ups. Making sure that a person knows what his or her triggers are is essential in preventing flare ups from happening. This means that one of the best things a person can do is keep track of what came before a flare up so that he or she can get a good idea of what triggers neuropathic flare ups. Once the person understands what causes the flare ups, the hard work is halfway done. All that needs to be done now is changes in lifestyle to create a life where a person doesn’t have to worry nearly as much about triggering a neuropathic flare up. By having a journal that logs what triggers are and what can be done to avoid them, a person can begin taking the steps needed to live a life without neuropathic flare ups. Nutritional supplementation is a safe, low cost way to provide your nerves with the right herbs, vitamins, and nutrition they need for proper functioning. Many people are deficient in key vitamins like thiamine and methyl b12 due to lower nutrient density in today's foods. People can either take multiple nerve health supplements individually or use a pre-formulated solution like Nerve Renew, which consists of proven ingredients in the optimal dosages according to clinical studies.